Taha Muhammad Ali is one of the leading poets on the contemporary Palestinian literary scene. Born in 1931 in the Galilee village of Saffuriya, he fled to Lebanon, together with most of the inhabitants of his village, during the Arab-Israeli war of 1948. A year later after slipping across the border with his family, he found the village destroyed, and he settled in Nazareth, where he has lived ever since. The Saffuriya of his childhood has served as the nexus of his poetry and fiction, which are grounded in everyday experience and driven by a storyteller’s vivid imagination. Taha Muhammad Ali writes in a forceful and direct style, with disarming humor and unflinching, at times painful, honesty — the poetry’s apparent simplicity and homespun truths concealing the subtle grafting of classical Arabic and colloquial forms of expression. Audiences worldwide have been powerfully moved by Taha Muhammad Ali’s poems of political complexity and humanity. Never Mind is the poet’s first collection to appear in English. TAHA MUHAMMAD ALI is the author of four collections of poetry in Arabic and a collection of short stories. PETER COLE’s most recent book of poems is What Is Doubled: Poems 1981–1998. A new volume, Things on Which I’ve Stumbled, is forthcoming from New Directions. Cole’s many volumes of translations from Hebrew and Arabic include The Dream of the Poem: Hebrew Poetry from Muslim and Christian Spain, 950–1492 (Princeton). He is a 2007 MacArthur Foundation Fellow. YAHYA HIJAZI was raised in Jerusalem’s Old City. He holds an M.A. from the Hebrew University and currently works at the Palestinian Counseling Center and David Yellin College. 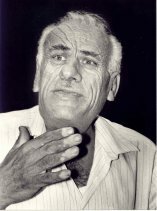 GABRIEL LEVIN’s translations include On the Sea, by Yehuda Halevi, and The Little Bookseller Oustaz Ali, by Ahmed Rassim. Anvil Press published his second collection of poems, Ostraca, in 1999. THIS BOOK IS NO LONGER AVAILABLE FROM IBIS.